This item is only available for sale with written estimate from the Stage Lighting Store. Please call for pricing. 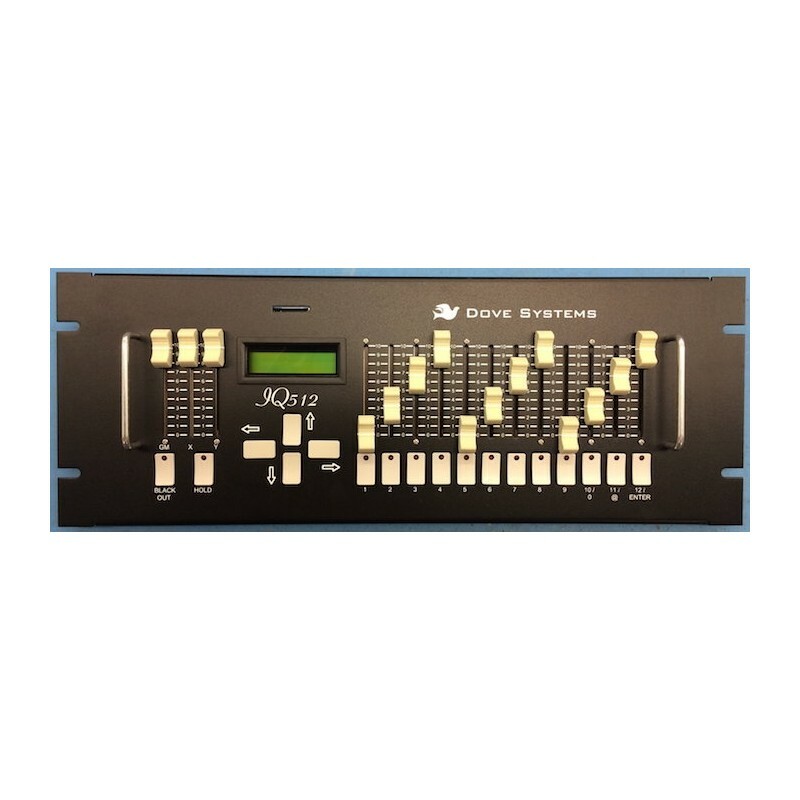 The IQ512WM is the rack or wall mount version of Dove System's popular IQ512M controller a 12 channel memory lighting control console designed for television and theatrical applications. It has all the features of the IQ512M but is in a rack or wall mount case. The IQ512WM has terminal blocks for DMX in and out and for 12VDC power. 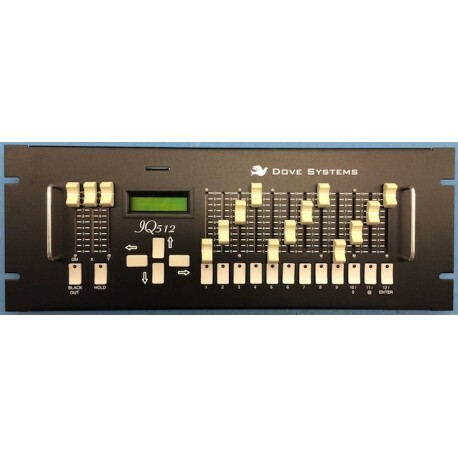 It provides the ultimate in flexibility through virtually unlimited cue and show storage on standard MMC/SD memory cards (not included with unit) seven proportional overlapping patch tables single scene with hold manual operation and split dipless crossfaders. The IQ512WM also serves as a remote focus unit providing quick control of all 512 DMX dimmers. The IQ512WM creates edits plays and deletes shows stored as text files on MMC/SD cards. The card may be removed to be backed up or edited on another computer. 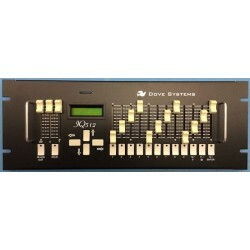 Cues created on the IQ512WM include a cue number fade in and out times a fade delay time and 12 control channel levels. These levels are run through the patch table on playback to control up to 512 dimmers. Individual cues may be inserted deleted or rewritten on the IQ512WM. When editing offline cue descriptions and individual levels for each of up to 512 dimmers may be added to a cue. Cue playback consists of selecting the show then using the split dipless crossfaders to fade between the cues of the show. Cues can also be played by hitting a GO button which starts a timed fade out of the old cue a delay then a fade in of the new cue. 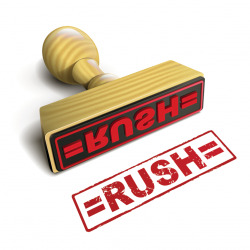 Fade and delay times are set by the user during show creation or editing. The top line of the display shows the currently "live" cue while the second line shows the next cue. The up and down arrow keys may be used to change which cue is next. The IQ512WM stores 8 user patch tables. Patch tables can be edited to have each control slider drive up to 512 dimmers with distinct levels. One-to-one and wrap patches are easily loaded. In television applications the patch table is often used to save a "look" on an individual control channel. Bring up channel 1 for news channel 2 for sports channel 3 for weather channel 4 for the newsroom etc. Patch tables can also be stored to an MMC or SD card edited off line (they are simple text files) then loaded back into the IQ512WM. The IQ512WM features "hold and fade" two scene operation. Press the hold button and the current look will be held. Set the control sliders for the next scene then slide the split dipless crossfaders to the opposite extreme to bring up the new look. Hit hold again to set up the next scene and move the crossfaders to make it live. The IQ512WM includes a Remote Focus Unit mode. This mode allows quick access to all 512 dimmers for test and focus of fixtures.